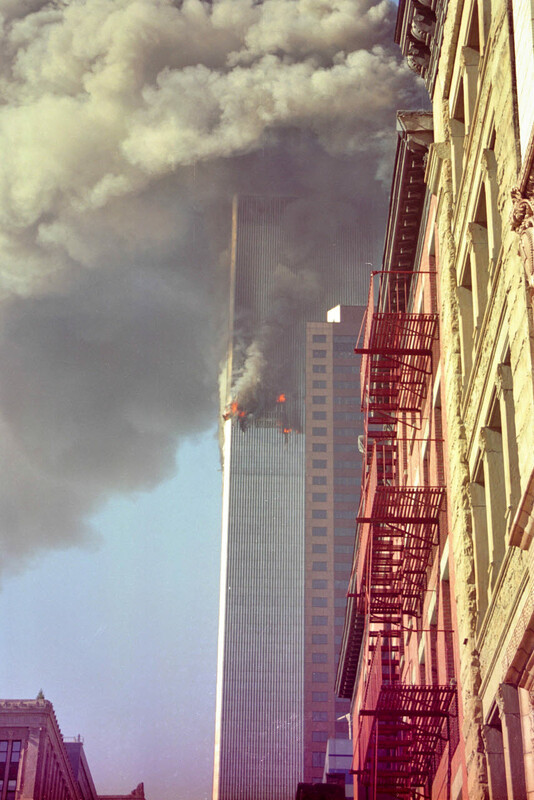 People hang out of windows to escape the smoke and flames. 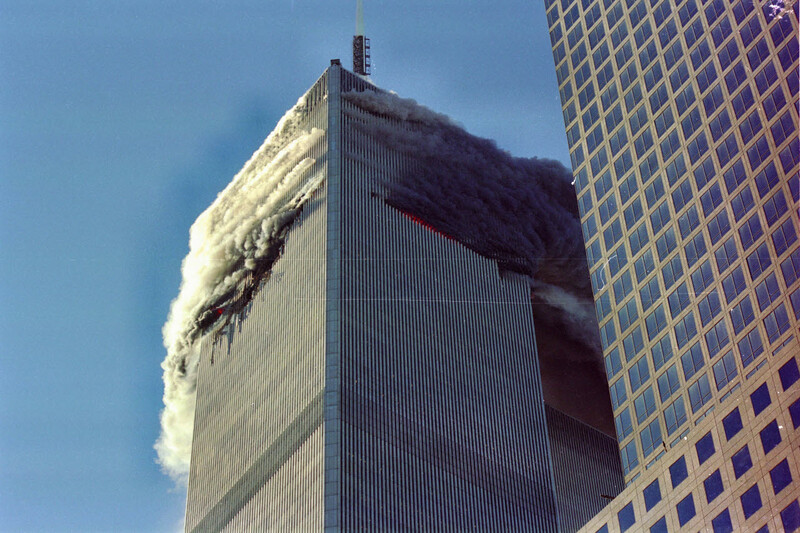 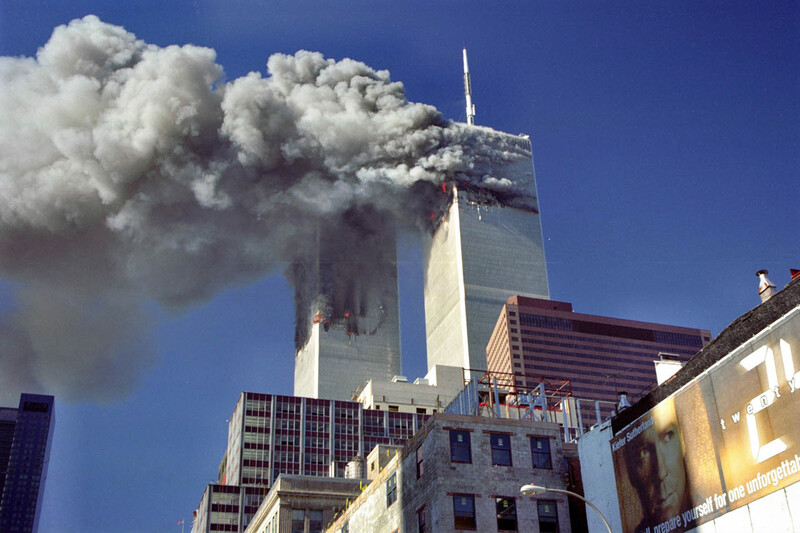 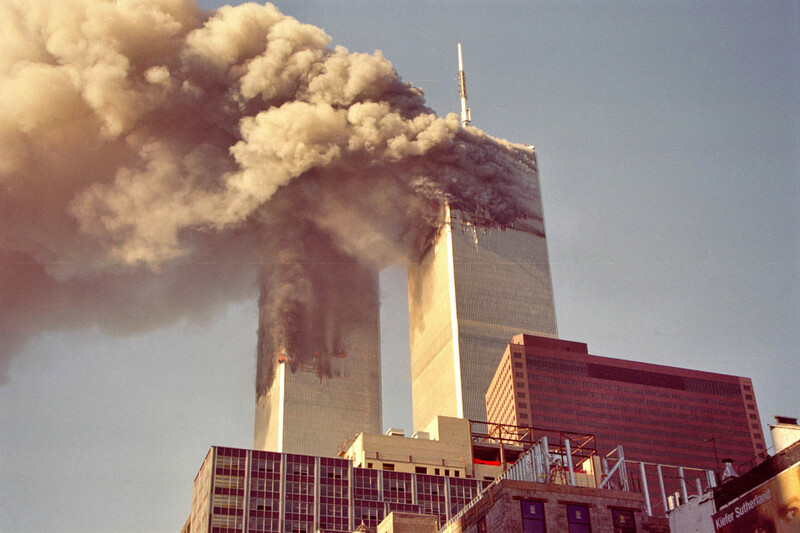 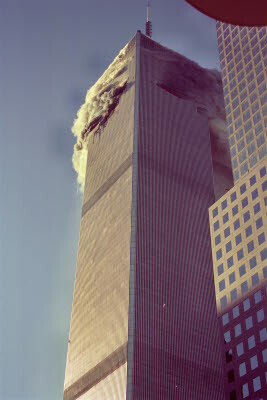 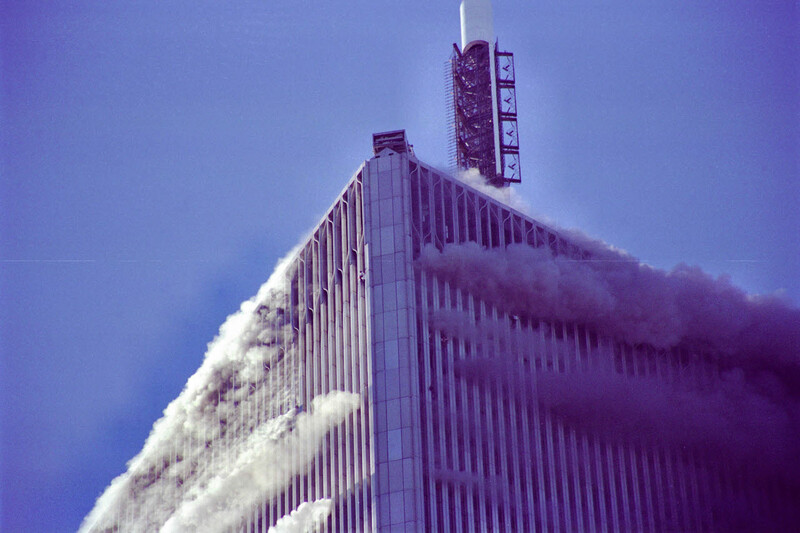 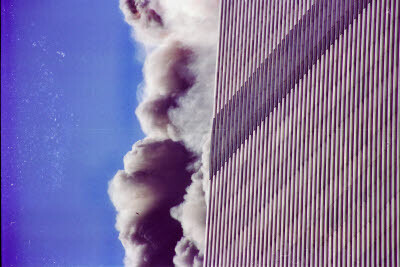 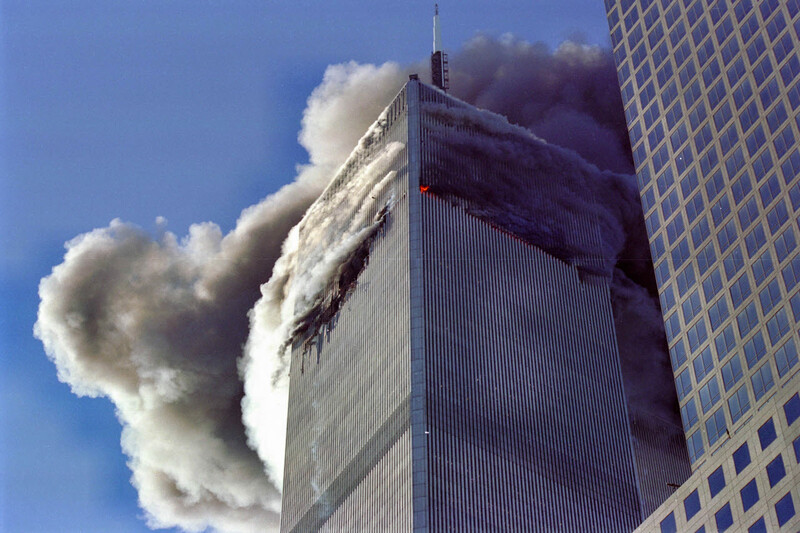 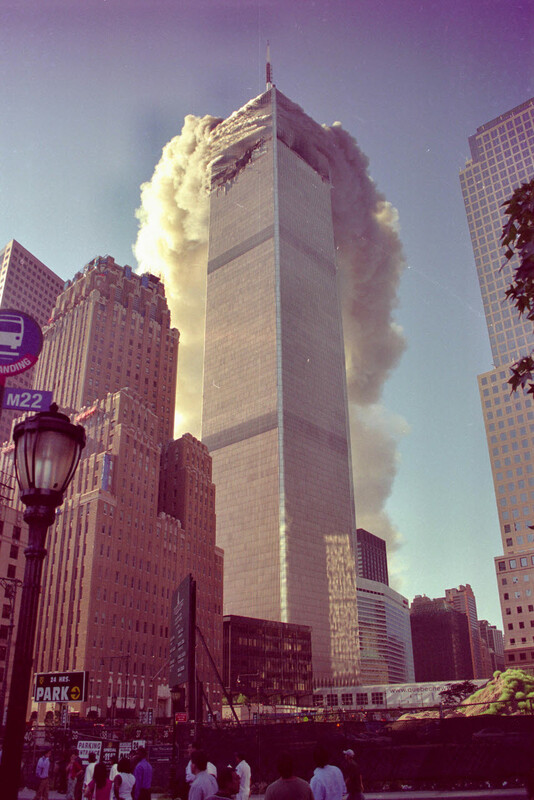 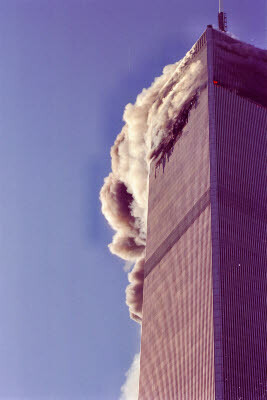 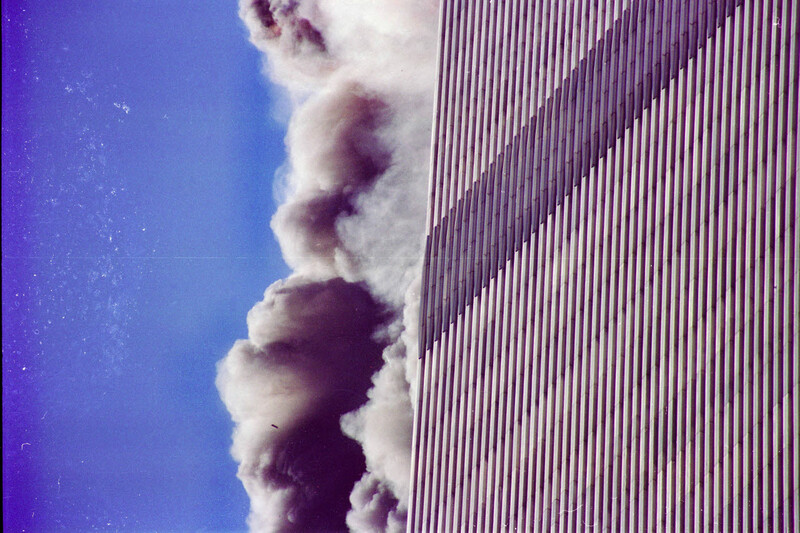 First tower burns while plane hits second building. 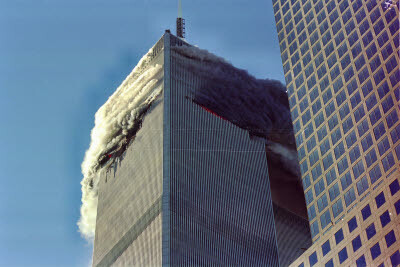 Marriott Hotel is visable at the base of the towers.